Providing cell phone portability, protection and storage for your essentials, the Cell Phone Wallet is a must-have for the gal on the go. 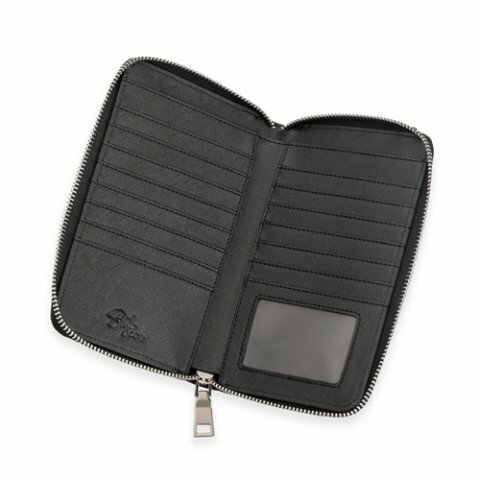 The many card slots let you carry all your loyalty, gift, library and credits cards in a staggered alignment that allows you to find the one you want quickly. Your cell phone rests securely in its own compartment with a magnetic closure to protect it from loss or from damage to the screen. The adjustable strap allows for shoulder or cross-body carrying. 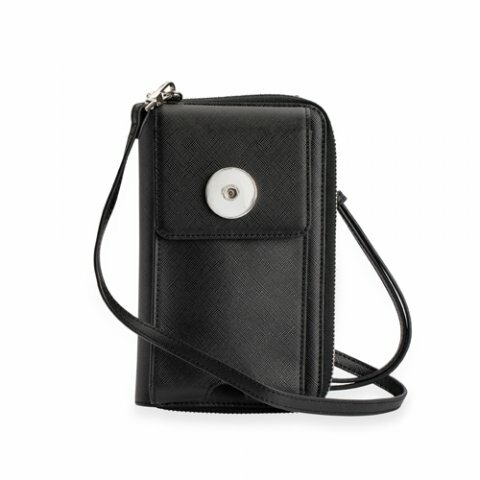 Cell Phone Pocket measures 3" x 6.25" x .05"
This cell phone wallet is one of my favorites!. Very well made and classy. I use it everyday.